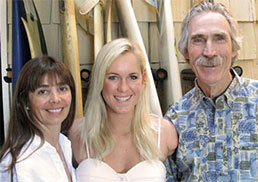 “I went to Dr. Turley’s office as an adult for braces and had an outstanding experience. The office is very professionally run. I never once had to wait for an appointment and it was always easy to reschedule. The staff and hygienists are very nice and the office is cheerful and clean. Dr. Turley himself is an excellent orthodontist. I am very happy with my results and get lots of compliments on my new smile." "Dr. Turley thank you for the seventeen years of gentle, skillful and successful care you have given my three sons. We all feel very lucky to have had you as our family's orthodontist." "Intelligence and skill make for a good doctor; but empathy and compassion are necessary to be a great doctor. Thanks for being a great doctor!" "I was a patient of yours when I was a child (I am now 24). I had headgear, expanders and spacers - the whole nine yards- to fix my underbite and spacing issues. I wanted to thank you, because the results have lasted, and have saved me from having to undergo more serious surgery. I'm so grateful." "Dearest Dr. Turley, not only are you a great orthodontist, you are a great, kind and thoughtful man. You've made my daughter feel special and look great. You are real and rare. You will always be treasured by us. We would like to continue visiting you from time to time if it's alright with you? With great admiration,"
"Many thanks. You and your staff did a great job... We are extremely pleased with the results of his experience with your office. His teeth look great. He's happy the experience is over; however, the result certainly justifies the means. I'm glad to recommend your office to other patients. All the best to you and your family. Congratulations on a job well done!"